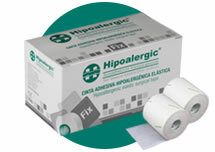 Thin, stretchable and highly permeable non-woven surgical tape, uniformly coated with an hypoallergenic and sensitive under pressure adhesive on one side and laminated with siliconed paper. 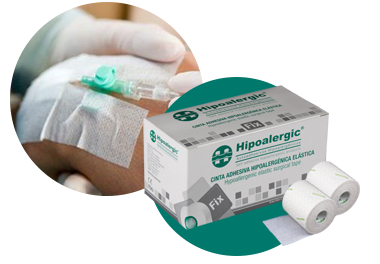 Suitable for retention of wound dressings, particularly on joints, frequently moving and contoured parts of the body and extremities. Secure fixation of devices; e.g. tubes, catheters, measuring devices, etc.